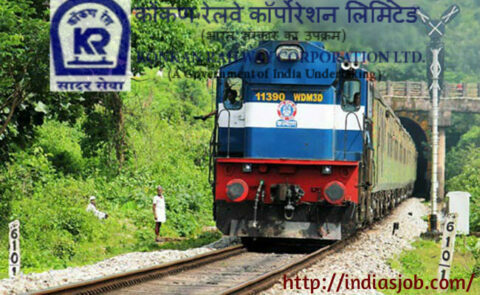 Konkan Railway has released notification for recruitment of Assistant Station Master and Junior Engineer Posts. All interested and Eligible candidates may apply application through online registration/post resume on official website (www.konkanrailway.com) before 05 Feb 2015 and website aaply portal Given below link in this notification. Board Profile : The Konkan Railway is a railway line which runs along the Konkan coast of India between Mumbai and Mangalore. It was constructed and is operated by the Konkan Railway Corporation. 1. Assistant Station Master: Candidate should be completed Graduation degree or equivalent qualification from Recognized Universities and Colleges. 2. Junior Engineer : Candidate should be do Degree/Diploma in Civil Engineering or equivalent qualification from Recognized Universities and Colleges. Selection Precess: Candidate selection will be based on Written examination performance and Interview. How to apply: All interested and Eligible candidates may apply application through online registration/post resume on official website (www.konkanrailway.com) before 05 Feb 2015 and website apply portal Given below link in this notification.